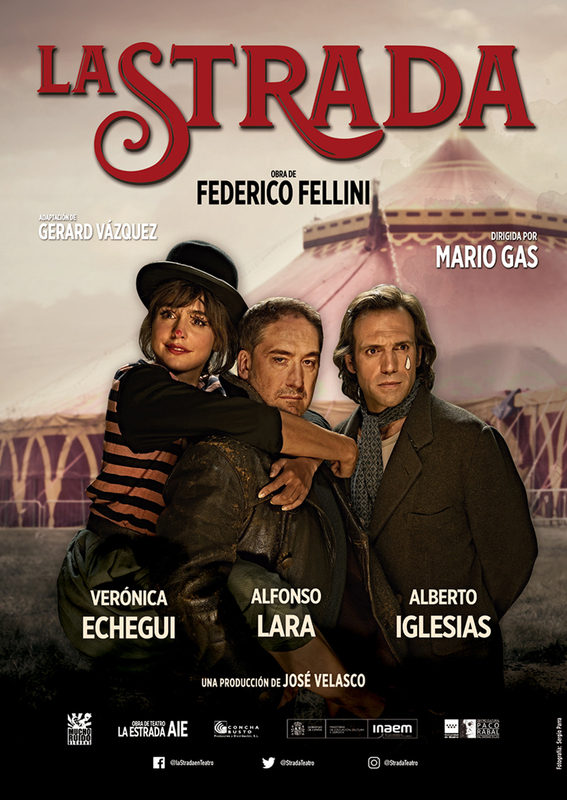 Theatrical adaptation of the great work of Federico Fellini by Gerard Vázquez, directed by Mario Gas and performed by Verónica Echegui, Alfonso Lara and Alberto Iglesias. , Through three characters almost without artifice, 'The Strada' speaks of all of us, of our difficulty to change, to fight against the pre-established ideas that prevent us from knowing ... to be freer. Endearing and moving, 'La Strada' is a fable of rabid modernity. A tragedy where the dramatic and the symbolic make up a poetic story about the fragility with which we construct the meaning of our life. After his success at the Abadía Theater in Madrid, he is on tour throughout Spain.